Neither the Turk nor the Kurd is remarkable for artistic talent, but the Armenians, with a culture going back to the age of Babylon, have, like the Asiatic Greeks, coloured the minds of their conquerors with the old native arts. 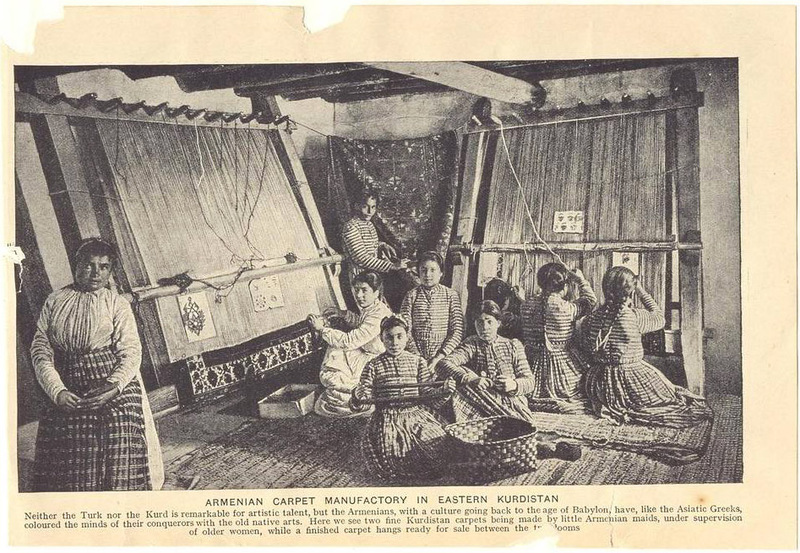 Here we see two fine Kurdistan carpets being made by little Armenian maids, under supervision of older women, while a finished carpet hangs ready for sale between two looms..
eastern kurdistan?? you must be kidding me!!! It iw Western Armenian, populated now by kurds, who have executed the owners of those land in order to steal their houses and property!